EA and Origin Access subscribers can now play DICE's World War I shooter. If you're an EA or Origin Access subscriber who's been holding off on picking up Battlefield 1, your patience has paid off. 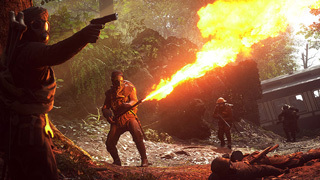 Overnight, EA added the World War I shooter to the list of games that subscribers can access as part of the package. Both EA Access (Xbox One) and Origin Access (PC) will run you $5 a month, or $30 a year. Subscribing gets you access to a long list of games that you can download and play (you can see the Origin Access list here. You'll also get early access to certain EA games before they launch. If you're a subscriber, you can find the PC version of Battlefield 1 here. Xbox One subscribers can find that version in the EA Access app.